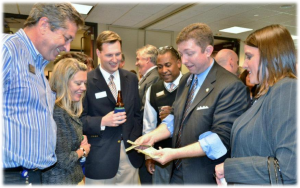 Whether you are planning a sales meeting, an executive luncheon, a formal banquet, an annual holiday event, an outdoor picnic or festival, a dinner with an important client, or even a simple company networking happy hour, Joe M. Turner provides strong magical entertainment in a size and format to suit your event. Many clients choose to combine Joe’s close-up magic with his larger programs, providing their audiences with a variety of entertainment throughout the event. Joe will work with you to determine the best type of magic for the performing environment at your event. His objective is to provide the right show in the right style and in the right way to meet your specific requirements. For seated audiences such as those at large meetings or in after-dinner settings, Joe performs a 40 to 60 minute stand-up show consisting of high-impact magic for your organization. No animals, no funny boxes -- just impossible feats of mindreading and skilled sleight-of-hand, tastefully presented in a way that everyone in your audience can enjoy, from the most experienced veteran to the most recent new hire. Larger illusions are available as needed... make your new products or corporate executives appear on stage to start your meeting with an exciting magical experience! Is it time for a project kick-off, executive retreat, team-building event or another type of meeting? 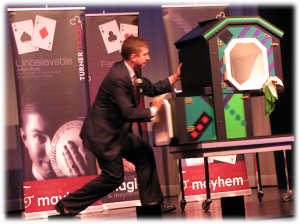 Atlanta magician Joe M. Turner can jump-start your meeting in a memorable and meaningful way, fostering the "anything is possible" attitude that can lead to more successful and innovative ideas and outcomes. 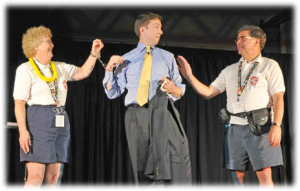 Consider incorporating magic as a theme for your meeting -- as an experienced master of ceremonies, Joe helps keep the interest level high by introducing each presenter in the session with a relevant magical routine that segues into the next segment. According to LinkedIn and Google, Atlanta magician Joe M. Turner is the South’s most-recommended magical entertainer and speaker… but his amazing skills make him more than just a fantastic magician and mentalist for important events. He’s a magical hospitality ambassador… A personal interaction catalyst… And a great addition to your reception, party, or other special occasion! In addition to his after-dinner shows and conference speaking engagements, Joe is an expert in the art of mobile magic entertainment. He strolls from group to group, adding amazing magic and uncanny mindreading to your parties, receptions and other events. 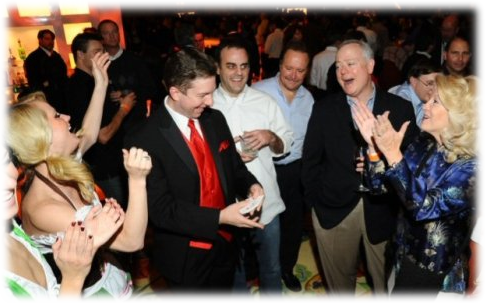 In intimate settings such as cocktail parties and corporate hospitality suites, you'll find Joe M. Turner's close-up magic perfectly suits the occasion. Joe's miracles with cards, coins, and even borrowed scarves or rings will keep the atmosphere pleasant and ensure that everyone remembers your event as the exciting, intriguing occasion it deserves to be. Joe's close-up magic puts the spectator just inches away from the magic. Joe’s clients often comment on his ability to relate to people from all walks of life and from all over the world. 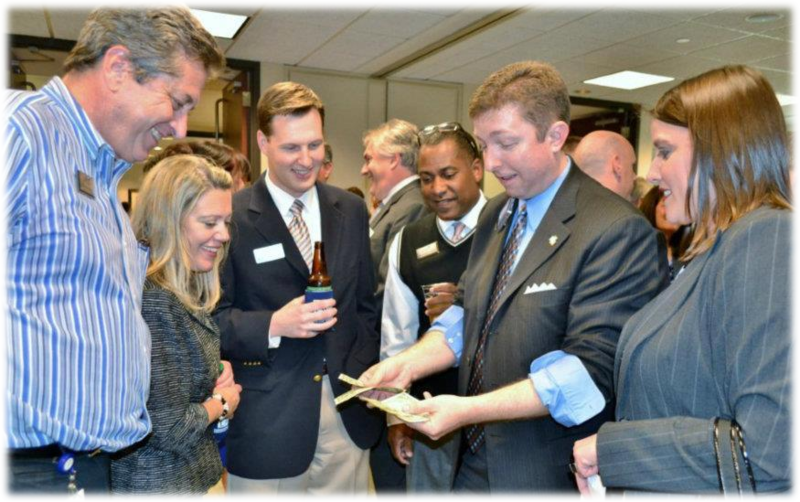 Are you hosting corporate executives? Entertaining clients? Celebrating with family or friends? Joe interacts effectively with all groups, delivering an unforgettable experience that is fun without being corny or inappropriate. Your group will be amazed by his skill and charm, and you can rest easy knowing that your event, your audience, and your brand will be respected. Want to go beyond pure entertainment? Ask Joe about customizing his presentations to emphasize key meeting takeaways, to communicate marketing messages, or to distribute giveaways.